If you had an entire year to plan and reset your organization's culture, how would you reset it? I've been wrestling with this question every since I moved to Indianapolis last summer. Most of us do not have the luxury of even asking this question. We either enter into and become a part of an existing culture, or (in those rare and fortunate instances where you're founding an organization from scratch), the time pressures of a successful launch, fundraising, hiring, etc., all seem to push culture into neat tidy boxes on a strategic plan or website banner somewhere to be only much later realized, if at all. However, I have had the luxury of thinking about this question because of a generous partnership with The Mind Trust in Indianapolis and the subsequent collaborative partnerships with both the City of Indianapolis (the only Mayor's Office in the country chartering schools) and the Indianapolis Public School District & Board. We are collectively going all-in on restarting a school with five 'F's' in a row, affectionately known as Wendell Phillips School 63. This charter restart will launch in summer 2018 after a year of planning. The launch of any startup inevitably has two things at its forefront: short term viability, and its eventual long-term viability. Short-term viability is contingent upon procuring the necessary resources of finances (funding, grants, enrollment); talent (leadership & teachers & operations); and community partnerships (social, emotional and other tangible and intangible needs). Long-term viability accrues when the leader builds the vision, mission, brand and strategy of the organization by constantly learning, iterating and publishing the organization's learning both internally and externally so that it continues to attract and grow its finances, talent pipeline and community partnership resources beyond the short-term. The startup world is littered with casualties who do not survive the short-term viability stage. Landing a charter, launching a school and running an entire team within one's per pupil allotment are telltale indicators of making it through this stage. I have become convinced though that the key to traversing from short-term viability (i.e. we have enough funding, talent and community resources to launch and survive ) to eventual long-term viability (we have a stable and growing base of financial, talent and community resources ) rests on the bridge of organizational culture that we will create in our school. But how does an organization effectively traverse from short-term viability to long-term viability? I think the answer, again, lies most deeply in culture. There are many types of high performance cultures, and the pathways for achieving them are just as robust. However, one thing is certain: if the leader does not both embody and exude the culture, a startup never will, either. In trying to align our school's culture--what we want our students to experience-- Tasha Eurick in " Insight " makes a fairly compelling case that the meta-skill of the 21 st century is self-awareness. Most of us believe that we see ourselves clearly, but as Eurick points out, we rarely know how others truly see us. That kind of insight does not come from being more introspective, reflective or even journaling more. This kind of insight only comes from specifically requesting the right kind of feedback from the right kinds of people (loving critics who confront with compassion). 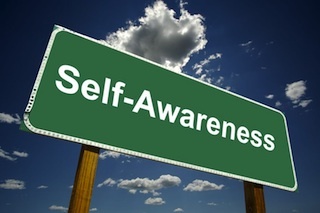 To build that kind of self-awareness in our students, we must first try to build it in our staff. In her new book " Braving the Wilderness , " author and researcher Brené Brown says that strong leaders do not pull their teammates towards fitting in, but rather towards a deep belief in themselves--a kind of true belonging that is not achieved or accomplished with others, but something we carry in our hearts. Brown says that true belonging can never be greater than our level of self-acceptance, and so it does not require us to change who we are but rather be who we are so authentically that we can flourish. According to Brown's research, true belonging paradoxically enables one to both be a part of something larger and stand with one's individual convictions and beliefs. How does a leader model the kind of self-awareness and self-acceptance to build a culture of true belonging where we can build a kind of unity in both being part of something larger AND be able to stand independently and apart on our own crafts and beliefs? ...then I can begin to build the culture of self-awareness and true belonging in our charter school staff and students alike.